This is Bafana Bafana’s golden opportunity to steer clear other teams in Group E as they face the whipping boys in the shape of Seychelles. Stuart Baxter’s men head into FNB Stadium knowing very well that winning these back-to-back fixtures against arguably the weakest opponent in the group will probably seal qualification with a match or two remaining. On the other hand, Seychelles who have lost both their first two games, must start kissing their qualification hopes goodbye if they fail to win either of the two encounters. The Pirates will be looking to participate in their first ever AFCON, having qualified a few times and withdrawing on each occasion. After excelling in the opener where they beat Nigeria 2-0, Bafana Bafana played out to a disappointing goalless draw against Libya in Durban. The hosts are currently tied on four points with Libya at the summit of Group E standings and a win here would see them have one foot in next year’s spectacle. Cape Town City midfield kingpin, Thabo Nodada, has been called up for the first time and he will be expected to replicate his superb club form at national level. Speaking of call-ups, Dino Ndlovu’s inclusion has raised a few eyebrows as he hasn’t delivered for Bafana Bafana and his performances in the Premier Soccer League were dismal. The injury sustained by Bradley Grobler was a huge blow to the team. Another player who has picked up an injury is Mamelodi Sundowns’ Thapelo Morena who got a knock in his club match against Bidvest Wits with the technical team monitoring the situation. The late addition of Aubrey Modiba, who is a superb at taking set pieces and playing crosses into the box, will give the team another dimension. The return leg takes place in Seychelles three days after this encounter but I don’t foresee the teams opting for a defensive, cagey approach. The home side is the one that needs points the most and I’m expecting them to attack from the get go. Andre Arendse will return to his goalkeeper coaching role, after Lee Baxter previously stood in for him after he was unable to make the camp against Libya. It was good to see the team joining up on Monday which will give them ample time to work on combinations. Bottom-placed Seychelles were thrashed 5-1 by Libya and were annihilated 3-0 by Nigeria. After the Nigeria clash, Seychelles goalkeeper Dave Mussard who works fulltime as a pastry chef went viral on the internet due to his weight. Almost the whole squad has fulltime jobs and coach Gavin Jeanne has expressed how difficult it is for him to prepare for games as players need to go to work before they go for training. 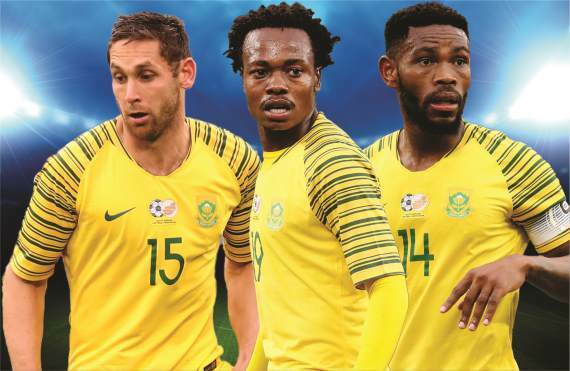 The Pirates must have watched Bafana Bafana’s games against Cape Verde and Libya where South Africans were frustrated by lesser opponents and they will be hoping to pull off a shock win. However, Seychelles are winless in their last 14 games across all competitions and it will be tough for them against a team that has skilful players who can pick their way through any defence in the continent. Bafana Bafana should triumph easily at home against the bottom-placed side that hasn’t won a single game in their last 14 matches. I foresee Stuart Baxter fielding an attacking side that will make easy work of the group’s whipping boys. Put your money on the South Africans!